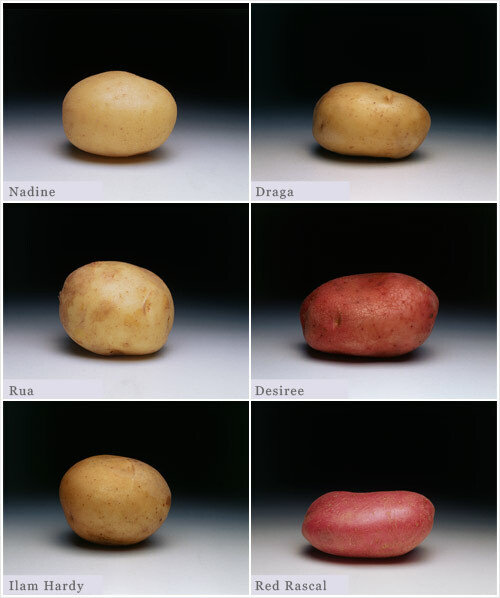 Over 50 varieties of potato are grown in New Zealand with around 12 main varieties. Different varieties have different shapes, textures, flavours and skin colours and lend themselves to particular cooking methods. Nadine and Draga are waxy making them ideal for boiling, salads, casseroles and soups. Rua and Desiree are general purpose and can be cooked in many ways. Ilam Hardy and Red Rascal are floury and are ideal for mashing, wedges, roasting, chips and baking.